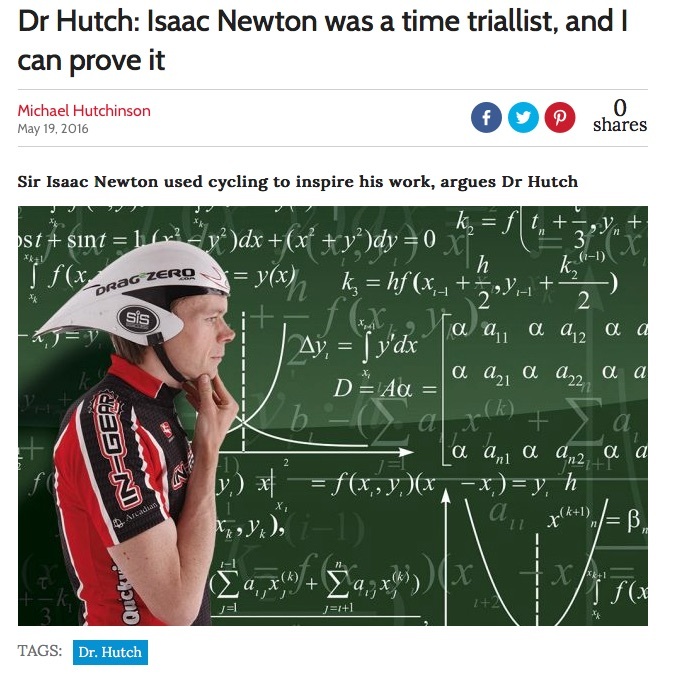 Michael Hutchinson offers one of the more amusing and creative stories of Isaac Newton and his three laws of motion in a recent post for Cycling Weekly, Dr Hutch: Isaac Newton was a time trial list, and I can prove it. Michael Hutchinson on Newton the cyclist. And while this version may not have tradition behind it, if you’ve spent much time cycling it will make more sense than that whole apple falling from a tree story.